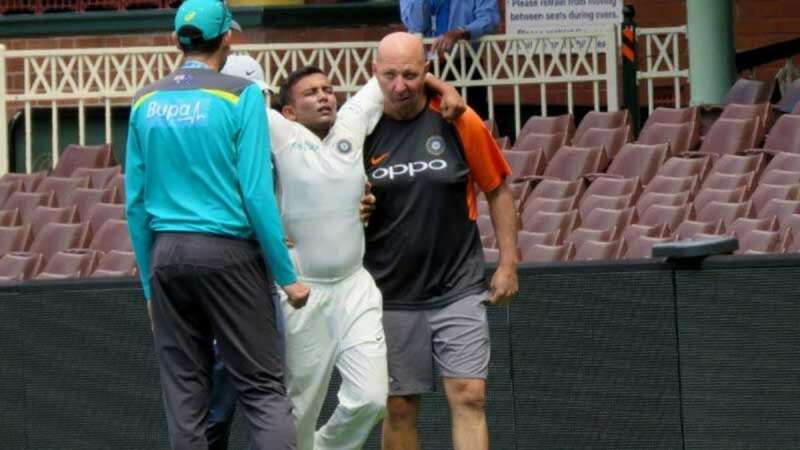 New Delhi : In a major blow to the Test series preparations, India's promising opening batsman Prithvi Shaw suffered an injury in the warm up game against Cricket Australia (CA) XI at the Sydney Cricket Ground here on Friday. Prithvi suffered a left ankle injury while attempting a catch at the boundary ropes during the third day of the warm up game. "(Prithvi) Shaw underwent scans this morning and the reports revealed a lateral ligament injury. Shaw will be unavailable for the First Test against Australia in Adelaide," BCCI said in a statement. "He will undergo an intensive rehabilitation program to hasten the recovery and be available for selection at the earliest," it added. India is set to play its first Test match against Australia from December 6 in Adelaide.